Born into a lower-ranking samurai family in northern Kyushu, Yukichi Fukuzawa emerged as a major leader in the cultural and political revolution that led to the Meiji Restoration of 1868 and the emergence of Japan as a modern state. Few Japanese intellectuals are as broadly discussed as Fukuzawa, regarding his solid grasp of Western industry, economics and politics as well as his profound insights into the foundations of Western civilization. Among the few Japanese of his time to travel outside Japan, he visited the United States twice and Europe once during the last days of the Edo period, hence his understanding was based on personal experience—fed by serious curiosity—and his impact on the radical reforms of the Meiji period was enormous. Fukuzawa became widely known in Japan for his book Condition in the West, essential reading for Japanese in the years after Japan opened to international trade. Insights into his views are available through An Encouragement of Learning, An Outline of a Theory of Civilization, and The Autobiography of Yukichi Fukuzawa. While interesting in and of themselves, however, these works do not fully convey the importance of Fukuzawa as an intellectual who was actively involved in the public issues of his day. 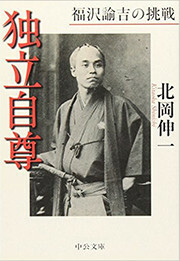 What has been missing until now is a comprehensive consideration of Fukuzawa the man, the thinking that appeared in his major early works, the later newspaper articles and speeches that laid out practical policies for the evolving Meiji government, and the contemporary social and political background. 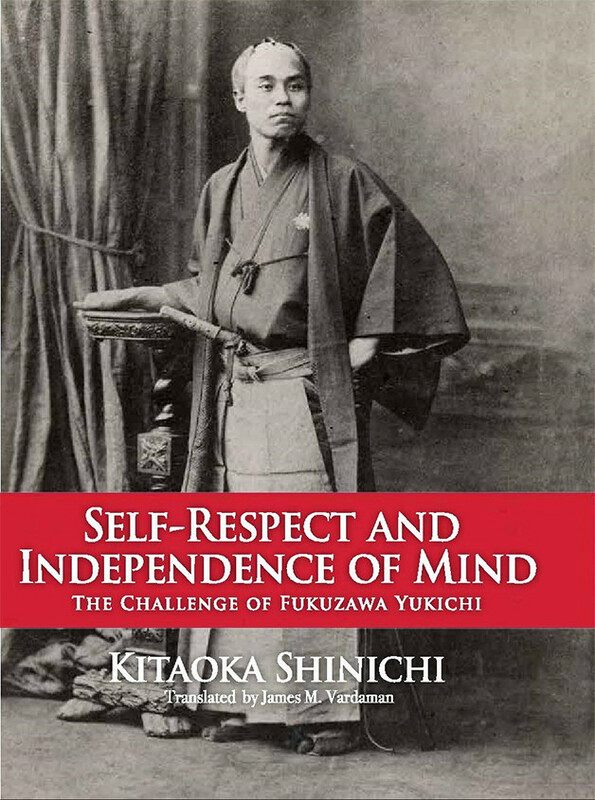 Shinichi Kitaoka bases the title Self-Respect and Independence of Mind [Dokuritsu jison] on Fukuzawa’s strongly held belief that “a nation’s independence stands upon the independence of the self,” meaning that the independence of a nation is dependent on the cultivation of individuals who respect themselves. Kitaoka’s underlying theme is that Fukuzawa attempted to find a solution to the problem of how a non-Western nation, facing the advance of Western nations, could maintain its independence, modernize its economic and political foundations, and take its place among the advanced countries, which remains a significant issue for many non-Western nations today. Shinichi Kitaoka is currently President of the Japan International Cooperation Agency (JICA) and professor emeritus of the University of Tokyo. He has published many books and received many awards, including the Yomiuri’s Opinion Leader of the Year (1992), the Sakuzo Yoshino Award (1995), and the Medal of Honor with Purple Ribbon (2011).